Dialysis can be successfully and safely performed in a patient with Ebola virus disease, physicians at Emory University School of Medicine report. 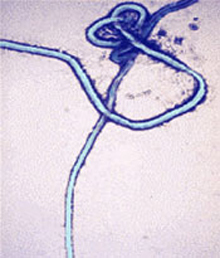 A patient with Ebola virus disease who required renal replacement therapy and respiratory support was recently treated at Emory University Hospital and later recovered and was discharged. Providing hemodialysis was previously thought to be too risky because it involves large needles or catheters and potential contact with infectious blood. The protocol for renal replacement therapy was presented at the American Society of Nephrology meeting in Philadelphia by Michael Connor, Jr, MD, assistant professor of medicine (pulmonary) and Harold Franch, MD, associate professor of medicine (nephrology). A paper providing details of clinical care for this patient was published online by the Journal of the American Society of Nephrology, and will appear in an upcoming issue. The JASN paper details the measures the clinicians took to maximize safety and minimize risk of secondary transmission of Ebola virus, including careful considerations to the types of equipment used and the protocols that clinical staff followed. None of the staff developed Ebola virus disease after a 21-day observation period, and no detectable Ebola virus genetic material was found in the patient’s dialysis waste fluids. "Our case shows that dialysis is not a death sentence for patients suffering from Ebola virus disease and recovery of kidney function is possible," Franch says. "In our opinion, this report confirms that with adequate training, preparation, and adherence to safety protocols, renal replacement therapies can be provided safely and should be considered a viable option to provide advanced supportive care in patients with Ebola," Connor says. The paper contains the team’s proposed set of clinical practice guidelines for acute renal replacement therapy in Ebola virus disease. "More than anything else, in our report, we found that extra training of our volunteer ICU nurses made success possible. We thank them for their bravery and commitment." Franch says. Study co-authors include Colleen Kraft, MD, Aneesh Mehta, MD, Jay Varkey, MD, G. Marshall Lyon, MD, Ian Crozier, MD, Ute Ströher, PhD, and Bruce Ribner, MD.